Racism has of course been a major issue ahead of the 2017 FIFA Confederations Cup in Russia and while the country has gone to great lengths to ensure that racism and discrimination will not be a problem this summer there are still concerns about Russian league football. 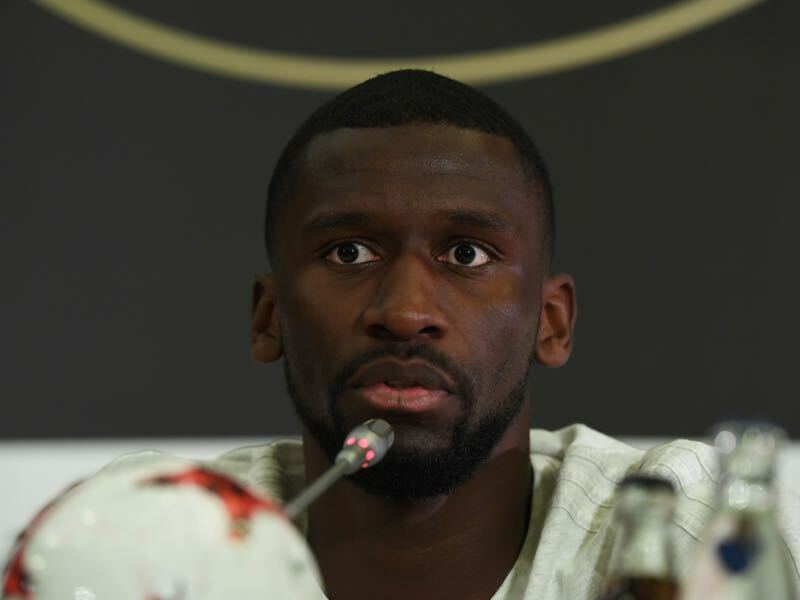 At the same time Rüdiger also highlights that this is not just a Russian problem, but that he has been subject to frequent abuse in Italy’s Serie A as well and that more needs to be done to combat the problem. The press conference indeed presented strong words by the defender, who is only 24-years old. But these days one gets the sense that Antonio Rüdiger has matured significantly and that in fact he has always been a major part of Germany’s national team. The Roma defender, however, is only just finding his way back into the squad after missing last summer’s European Championships with an ACL injury. 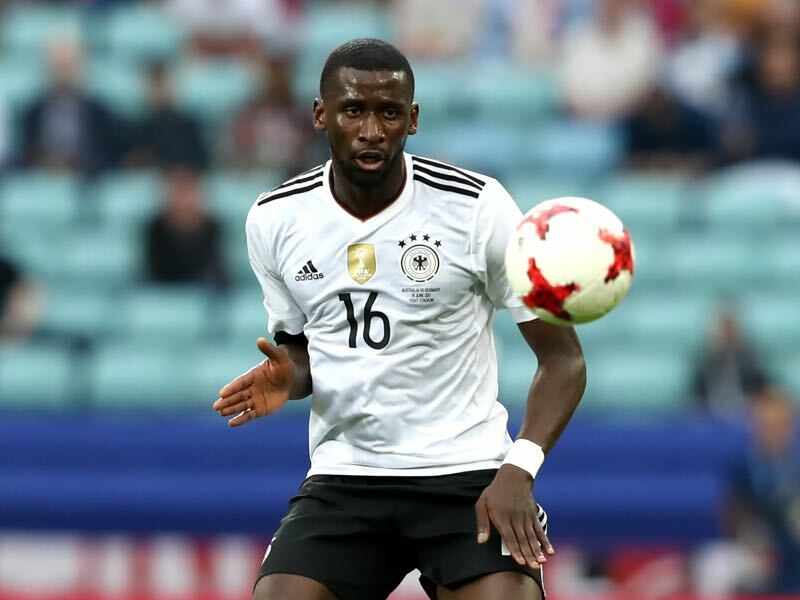 In some way Rüdiger is just one of many players who are vying for one of the empty spots at next summer’s World Cup. But despite the fact that he struggled at times in the friendly against Denmark ahead of the Confederations Cup and then in the opening game against Australia there is a sense that head coach Joachim Löw will bank on him in the future. These days die Mannschaft has been operating in a 3-5-2 formation. Mats Hummels and Jérôme Boateng are very much expected to take two starting spots at the backline, but that also means that one position will be available and Rüdiger alongside Shkodran Mustafi is considered as one of the favourites to slot next to Hummels and Boateng. Speaking of Boateng, there are many in Germany who believe that Rüdiger could develop along the same path as the big Bayern München defender. This comparison has followed Rüdiger for some time now and the Futbolgrad Network certainly made this comparison when they first spotted him during a U-18 friendly match between Germany and France in the winter of 2011. A big and athletic defender there is certainly reason to think that the comparison is justified. Six years have passed since that cold winter night outside of Munich, and Rüdiger underwent the development from a hot prospect at Stuttgart to a strong Bundesliga player and then a highly sought after commodity at Roma in Italy. In fact, one gets the sense that Rüdiger has benefited immensely from his time in Italy. The truth, however, was that Roma were unwilling to keep the defender ahead of this season. Loaned from Stuttgart in the summer of 2015 Roma only made Rüdiger’s deal permanent to sell him on to Chelsea. The deal eventually fell through because of Rüdiger’s ACL injury ahead of the 2016 European Championships. Out with an injury and considered an object of speculation Rüdiger certainly did not have an easy path back from his injury. But the defender worked hard and managed to fight his way back from injury. He then concluded the season with 26 games and helped Roma to a second place finish in the Serie A. Playing on this level made the inclusion of Antonio Rüdiger a no-brainer ahead of this Confederations Cup. Rüdiger in the meantime has to show that he can make the next step and underline his mature off-field behaviour with mature on-field play. The moments of madness are perhaps the second parallel to Boateng. As it was the case with Boateng early on in the career, Rüdiger still has moments of insanity. His biggest zone of improvement, therefore, needs to be consistency. But that consistency can only come with experience and play for Germany this summer will certainly help to improve his game further. As for a move to the English Premier League? Well that would be the third parallel to Boateng. The current Bayern defender made the move to England early on in his career, but never really enjoyed his time in Manchester and quickly jumped on the opportunity to move back to Germany when Bayern München came calling. Rüdiger in the meantime narrowly missed out on that move last summer, but strong performances this summer, and Joachim Löw favouring the 3-5-2 system could certainly bring him back on the radar of the likes of Antonio Conte. In fact, there are indications that Rüdiger will be leaving Roma after the Confederations Cup and given his talent level there will be no shortage of suitors.